Happy Wednesday Morning Everyone! I hope each of you have a great day! Today I'm sharing a card created with the New Stampin' Up Build A Blossom Punch. I wanted you to see that you can also use the punch without the stamp set. My flower bouquet is made with the smaller flower petals and leaves. My bird is also a Stampin' Up punch. I used the Stampin' Up Oval Frame to assemble the card. Enjoy! 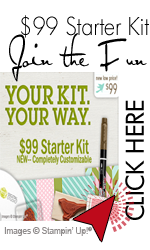 If you would like to purchase the Stampin' Up Build A Blossom Punch, click here. Wow! Just came across this card. Lisa it is so pretty! Great colors and design. Love the textures you've added too! TFS!